The Famous Illicit Sharing Platter is here! Hungry? Fancy a challenge? Check out The Still’s ‘Famous Illicit Sharing Platter’! 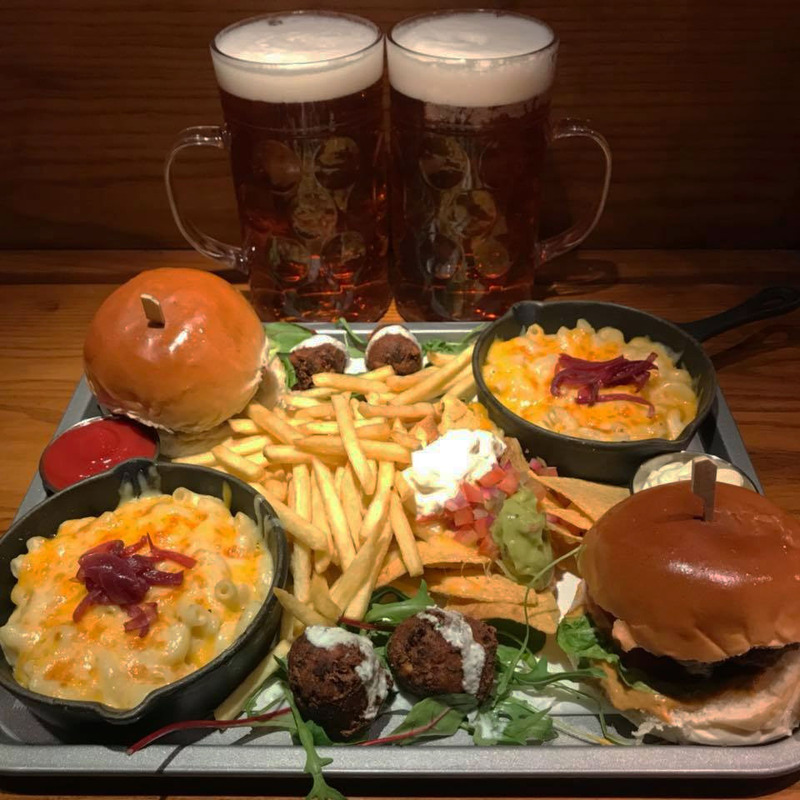 Containing succulent Beef Steak Cheeseburgers, Mini Mac N’ Cheese, Cheesey Nachos, Skinny Fries, Vegetable Pakora, and a 2 Pint Stein of Beer or Cider to wash it down, it’s a formidable feast from the North East! Only £19.95 per person, Minimum 2 People!